Video games are supposed to be fun and enjoyable for all. 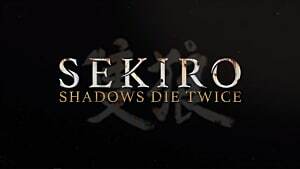 FromSoftware simply does not care. 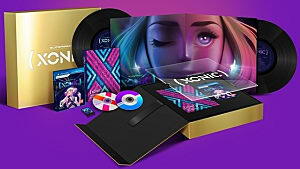 In a world where video games are usually meant to encourage people to play, the entire list of games made by this developer does the exact opposite. 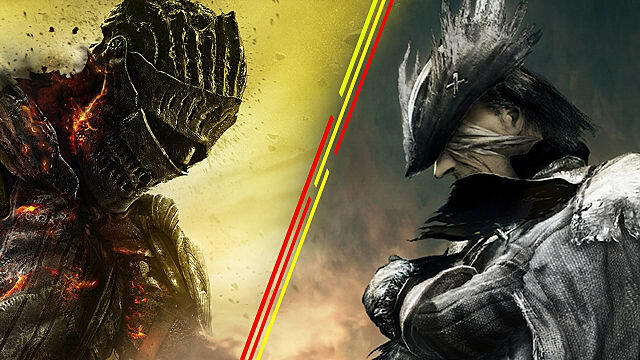 From the Dark Souls series to Bloodborne, every game that FromSoftware has made has been challenging yet undeniably rewarding. These games take you to another level, to heights where you didn’t think gaming could reach. While they can provide the biggest of thrills, they also can provide some of the most frustrating moments you have ever experienced while playing video games. Dark Souls III just so happens to be the newest offering from this punishing developer and it is just as good as any other offering. 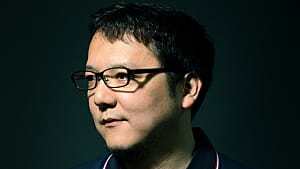 The level designs are astonishing and the game is simply another success from the mind of Hidetaka Miyazaki. While Dark Souls III is undoubtedly a phenomenal end point for the series, it falls flat in one area where Bloodborne unquestionably succeeded. 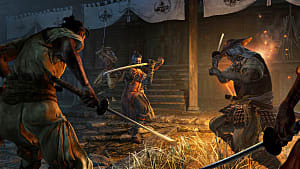 That one area just so happens to be the one area FromSoftware has built its reputation on, difficulty. Allow me to present my argument and that argument is that Bloodborne is WAY harder than Dark Souls III. I know I am not alone judging from the outcry on many of sites including GameFAQs from countless Souls fans. Dark Souls III is by no means a bad game, quite the opposite. It just happens to be much easier than its predecessor. This is the most dumbfounding aspect of Dark Souls III. Boss fights are supposed to be challenging and they are supposed to bring out the absolute best in you. While Bloodborne was made up of one challenging boss fight after another, Dark Souls III is filled with one easy fight after another. There are 19 total boss fights in Dark Souls III and I counted 6 bosses who are as difficult as any boss in Bloodborne. Only 6 out of 19, that is simply not enough. While the Nameless King could give any Bloodborne boss a run for its money, no other boss in Dark Souls III would hold a candle to the Shadows of Yharnam or even Father Gascoigne for that matter. There are 17 total boss fights in Bloodborne and, by my count; there are 9 extremely difficult bosses. Gehrman is a nightmare, Rom can crawl off a cliff and I hope nobody ever has to deal with Micolash as many times as I did. The bosses in Bloodborne just kept going from bad to worse to kill me now. Dark Souls III has the boss order go from eh to ok to well that was easy. Sticking to the boss argument, as I said above, the Nameless King is the hardest boss in Dark Souls III. Some can argue Sulyvahn, others will say Soul of Cinder but whomever you think other than Nameless King is wrong. This guy is a nightmare; try after try and death after death. He simply is the greatest boss fight in the entire game. Everything in the fight from the look of the boss to the entrance is extremely over-the-top epic. Unfortunately, some players will not even get to experience this boss fight because the area in which the Nameless King resides is optional and not included in the proverbial game progress route. In order to access the Archdragon Peak area, where the Nameless King awaits, you must defeat the Dancer of the Boreal Valley to gain access to the Consumed King’s Garden. 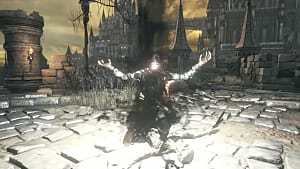 You must then defeat Oceiros, The Consumed King and the Path of the Dragon gesture can be found on a corpse in the area shortly after the arena. You must then use the gesture at the kneeling dragon statue found within the Irithyll Dungeon. Then you can access the Archdragon Peak area where the Nameless King can be found. That is a lot to ask for just to find a certain area and, while I appreciate the effort you have to go through, some people will just skip this area or go on without even knowing about it. 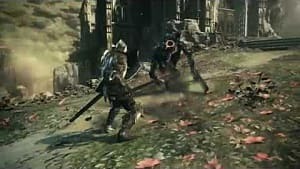 To the argument that the Soul of Cinder is harder than the Nameless King, the final boss of the game is supposed to be hard. Gehrman is hard, Soul of Cinder is hard, final bosses are hard. However, Bloodborne had multiple bosses that came before German that were equally as difficult. 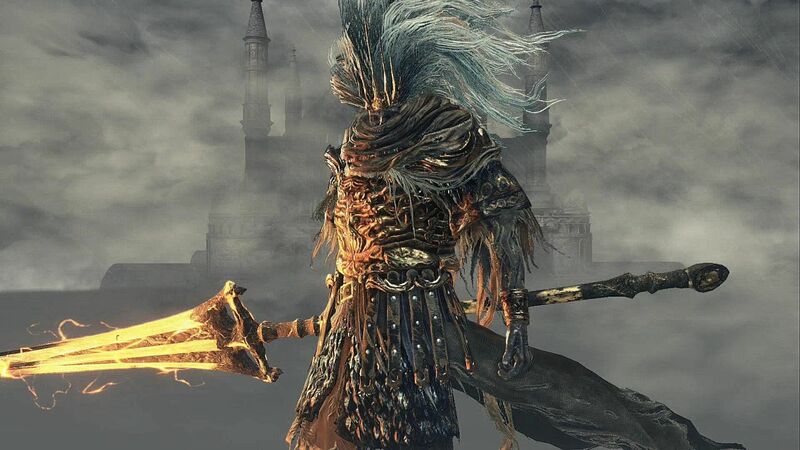 There is only one boss comparable to the Soul of Cinder in Dark Souls III and that is the Nameless King, and you may not even face him. 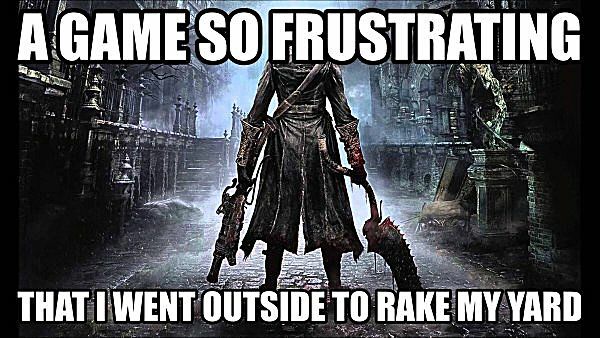 By this, I do not mean NPC and co-op help because that was also used in Bloodborne so that area is a scratch. What I mean by this is that Dark Souls III has A LOT of items, weapons, armor sets and plenty of other things that allow you tackle areas and enemies in many ways. This is a phenomenal idea and, honestly, is something I do love about the game. However, there is so much that it sometimes can make an area a snap instead of a sweat. 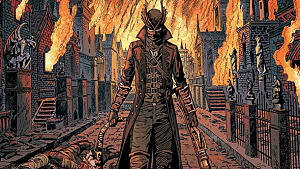 Bloodborne had 1 to 2 weapons you would use on the first play through and then, maybe, add a third. 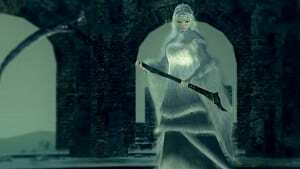 Dark Souls has rings that buff certain stats amongst other things, plenty of armor choices to choose from and a mind-boggling amount of consumables that will help you along the way. I also ended up using 10 different weapons my first time playing through the game. 10! Going off of that, the Ancient Wyvern and Yhorm the Giant boss fights both have the makings of great boss fights. Yhorm was straight out of Bloodborne with his giant size and intimidating Great Machete. Ancient Wyvern is a huge fire-breathing dragon for crying out loud. What could possibly get me through these two monstrosities? Well, there is a weapon in the Yhorm boss arena that will deal significant damage to Yhorm, taking him down in five or six hits. Ancient Wyvern isn’t even a boss fight. You just run around the boss arena, climbing a stone structure until you reach a cliff above the dragon’s head and then drop attack him to kill it…WHAT. WAS. THAT!!! Such a bailout in what could have been two great fights. I don’t want it to seem like I hate Dark Souls III because I absolutely loved the game. 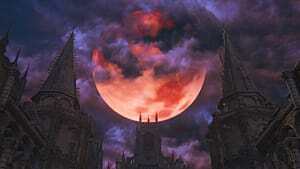 It is so entertaining the way FromSoftware does things and the way they create magnificent worlds. From the challenge of going a few steps ahead to the way the combat flows, these developers simply know how to make a phenomenal video game. I’m not saying Dark Souls III was bad, I’m just saying it wasn’t as difficult as Bloodborne.